I am fortunate to be in a job where I feel I am making an impact on patients and families at a challenging time in their final journey. I strive to put forth my best in providing care that is honest and nonjudgmental. Although death is perceived as the end of life depicting a myriad of sad feelings, I hope in my encounters, families can see beyond the darkness and envision a glimmer of hope in their experience with loss. I appreciate the strength and tenacity people don’t realize they have, until faced with adversities. I am proud to be a Social Worker with Delaware Hospice for almost 19 years – a nonprofit hospice who provides end of life care to those in need regardless of their circumstances. I have worked in several Social Work disciplines but became interested in end of life while working with families and recognizing that there were personal/family issues that could have been explored or resolved to lessen additional stress on families. I believe divine intervention came into play when I was hired at Delaware Hospice. I was about to accept a position at a local hospital when informed of the DHI social worker vacancy, I was encouraged to meet for an interview prior to making my final decision. Almost immediately, I felt this was the place to further my goals of helping others in a meaningful way. It was predicted by another social worker that I would work at Delaware Hospice and he was proven right! I enjoy the close relationships and unconditional support from my colleagues, husband, son, daughter-in-law, grandchildren, great grandchildren, and friends. A strong faith is what helps me continue with my work while finding time to enjoy reading, traveling, and inspiration from others’ life stories. Delaware Native Brittany Lennon has always enjoyed the world of beauty. Beginning at age nine, she didn’t have much of a choice. Her eyebrow hair was sparse, and at times, nonexistent. Her doctor blamed the hair loss on stress, and all she could do was what everyone else did – pencil them in! Though teased for wearing makeup at such a young age, she was always an incredibly confident young girl. Fast forward twenty years and she is now a Micropigmentation Specialist at Hockessin’s Lasting Looks, permanently tattooing natural-looking, realistic brows on her clients. Brittany is available for Permanent Eyeliner and Eyebrow procedures at Lasting Looks located at 447 Hockessin Corners, Hockessin, De 19707. Call for your free consultation with Brittany at 302.635.7327, or schedule an appointment online at www.lastinglooksforyou.com. 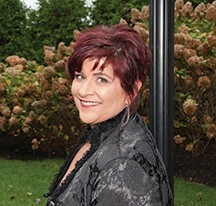 Monica Eboda is the Owner/Strategic Partner of PrideStaff Wilmington. She brings over 25 years of relationship management, executive coaching and business leadership experience in the financial services industry to her role as Owner of PrideStaff Wilmington. She helps clients drive growth and profitability by identifying business opportunities, developing effective solutions and innovatively leading execution. A member of the American Staffing Association (ASA), Ms. Eboda recently attained her Certified Staffing Professional designation (CSP). A proud parent of an Eagle Scout, Ms. Eboda, was an active volunteer with Boy Scouts of America: She was a Den Mother and board chair with Pack 1677 and served on Eagle Scout project committees with Troop 299 in Maryland. 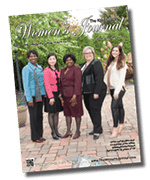 She has and continues to serve on several non-profit boards in various capacities including, chairperson for the National Women’s Business Center (NWBC), Moore College of Arts and Design, and a graduate of Leadership Philadelphia. She is also a frequent presenter and volunteer at Generations USA – A McKinsey Social Initiative. I believe that there are two things in life which bring me true happiness: kindhearted relationships with my family, and living a healthy lifestyle. I was born and raised in New Castle, DE. I grew up with numerous cousins close to my age. We went to school together our whole lives. We were locked at the hips for nearly 14 years. Although spread all over the country, my countless cousins and I will always have an everlasting bond. The same goes for my parents. Although they now live in VA, the relationship that I have with them will never fade. My mother is a two-time breast cancer survivor. Going through that hardship with my family made us stronger. The way in which I exercise and eat – I consider a lifestyle, not a diet. At Frontline CrossFit, we are our own family. The camaraderie motivates me to work harder towards my fitness goals. Not only does eating healthy help me maintain a healthy weight, it also has a profound effect on my mood. Exercising and eating heathy make me a better person. I graduated from University of Delaware’s HRIM program in 2013 and today I am the Marketing Manager of the Hilton Wilmington/Christiana. The hotel just finished a vast transformation – Ballrooms, meeting rooms, guest rooms, public space. As a person who loves creative food, I applaud the hotel’s new restaurant, Market Kitchen & Bar. There’s a unique aspect of the culinary efforts– whether it’s in the new restaurant, or in catering. The hotel’s Courtyard Garden is cultivated by the culinary team. Produce is grown on the hotel’s grounds and infused into all aspects of Food & Beverage. Exceptional! I am blessed to be where I am today. I have a relationship with my family, I am healthy, and I have a wonderful job. It’s been an incredible journey thus far and I am anxious to see what the future brings. In 2011, Dr. Patricia H. Smith established Holmes Smith Consulting Services (HSCS), Inc. with offices located in Wilmington and New Castle, Delaware. HSCS offers individualized and customized college planning and career planning services. As the Owner and CEO of HSCS, Dr. Smith ensures that the company stays on the cutting edge of college and career research, technology, and services. For the last six years, Dr. Smith and her team have assisted students and parents to navigate the college planning process by helping them: 1) identify colleges/universities that meet their academic and financial needs; 2) complete college applications; 3) complete federal financial aid forms; 4) locate and apply for local, state, and national scholarships. HSCS’s students are attending public, private and Ivy League colleges and universities. These students have also received numerous federal/state grants, merit and community scholarships. Dr. Smith’s has over 27 years of experience in education and college and career planning and has held leadership positions at three universities and a high school. Her many accomplishments include: the establishment of the Boys & Girls Clubs of Delaware state-wide College Awareness and Planning (CAP) Program and the Annual College Planning Conference for Parents and Guardians of middle and high school students. To date, numerous families in Delaware, Maryland, Virginia, Pennsylvania and New Jersey have benefitted from these programs. Dr. Smith holds a Doctoral Degree in Education, Master Degree in Counselor Education, Master in Business Administration and a Bachelor Degree in Science. Dr. Smith is a member of national and state professional organizations and serves on the Gateway Lab School Advisory Board. Dr. Smith is the author of The Power of Parent Involvement in the College Planning Process. She is married and has two sons, both fully engaged in their college experiences. Katherine A. Sahm, MD, F.A.C.S, is a Delaware native. She completed her general surgery residency at Christiana Care Health System where she served as Chief Resident from 2004 – 2005. She is board certified in General Surgery. She earned her Doctor of Medicine degree from Jefferson Medical College at Thomas Jefferson University in Philadelphia, Pennsylvania. She graduated a member of the Alpha Omega Alpha Medical Honor Society. Preceding Medical School, Dr. Sahm worked in the Department of Biochemistry at Thomas Jefferson University and completed two years of biochemistry research on collagen diseases and defects. A Bachelor of Science degree in Biology was completed at Lafayette College in Easton, Pennsylvania. She serves in the U.S. Army Reserves as a Lieutenant Colonel and completed two tours in Iraq in 2008 – 2009, and 2011. 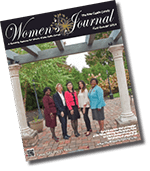 She currently serves the Delaware community as an active member of the Board of Directors of Henrietta Johnson Medical Center and has done so since 2010. Advanced Surgical Associates is Dr. Sahm’s private practice located at 1401 Foulk Road, Suite 207 in North Wilmington where she provides specialized services in: General surgery, advanced laparoscopic procedures, endoscopy and colonoscopy, breast cancer surgery, and advanced wound care. She is also a participating surgeon at the Helen Graham Breast Center. Vicki Lam is a 2nd generation entrepreneur. She is the President & Founder of Promo Victory Inc., a strategic promotional marketing company that offers close to 1 million innovative custom branded merchandise & apparel. 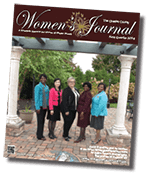 Promo Victory, Inc. holds the distinction of being Delaware’s only promotional company certified by the Women’s Business Enterprise National Council (WBENC) and Certified Advertising Specialist (CAS). Her company’s mission is to maximize marketing budgets & ROI by creating successful promotions that add impact and value, so the brand & message stand out from the crowd. Vicki started the company from scratch from 0 clients to over 350 clients today. They include businesses in all industries, non-profits, health care facilities, hotels, schools, Fortune 100 companies and government agencies. Despite its humble beginning, the company has always remained debt-free. Statistics show 90% of startup companies don’t make it to 10 years. This year Promo Victory, Inc. is proudly celebrating its 10th year in business. Vicki came to the U.S. from Hong Kong when she was only six years old and grew up in New York City. She graduated from John Dickinson High School and earned her bachelor’s degree in Marketing Management from Goldey-Beacom College. She is a Certified Advertising Specialist; only 5% in the promotional industry hold this highly recognized credential. Vicki is a member of the American Marketing Association and is a self-taught graphic designer. She enjoys spending time with her family, friends, and her 11-year-old pet goldfish. She is fluent in Chinese: reading, writing, and speaking. Because lack of marketing and poor marketing are major reasons why businesses fail; she contributes to the business community by teaching free Marketing workshops to help organizations sustain and grow. 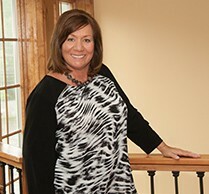 Lori Davis is a passionate business leader that brings over 25 years of operations and customer service experience to her current role as Executive Operations Manager at Stat International. A Kutztown University graduate with a BS degree in Business Management, she started her career in the food service industry as an entry level manager. Early on, she not only recruited and developed great talent, she proved leadership in building people capabilities by recognizing strengths and potential to raise the bar. Lori formed amazing teams that achieve both financial and operational results to the bottom line. Over the span of her career with YUM® Brands, she achieved many goals. She grew in leadership, gained knowledge and developed an invaluable skillset bringing success to both her team and the company. 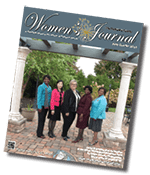 With her solid organizational skills, her desire to mentor, develop and lead teams, she became an accomplished training director and multi-unit operator. Presently at Stat International, a company with clients spanning the United States and from around the globe, she has provided leadership and business acumen in helping entrepreneurs and seasoned business professionals with developing an approach to broadening their business through a vast array of business services. Using her leadership skills, she has formed a talented-strong team to support the mission, to provide and cultivate an environment where businesses thrive at any level. Whether the budding entrepreneur (looking for virtual services), the established business owner (looking for conference rooms and traditional offices) or the “Second Chapter” clientele (looking for office space), Lori understands the importance of getting the right fit at the right time. She takes the time to understand individual goals, where you are now and where you want to be in the future. She works diligently to customize an office, suite, co-working space and/or provide business services that supports growth and delivers success. Lori has two grown sons and lives in Newark, Delaware. She is a Board member of the Fresh Start Scholarship Foundation and also volunteers her time and leadership as the Vice President of her church council. She enjoys cooking, singing and ringing hand bells. I would like to thank Debra Zeccola of Debra Zeccola Photography of Newark, DE for being our photographer for our photo shoots in New Castle, Chester, and Delaware County, PA. Debra has over 25 years of experience as a licensed professional photographer. Debra provides her clients with outstanding photography services for weddings and events, family and individual portraits, baby photos and so much more. Debra was an absolute joy to work with, and I couldn’t have asked for a more professional and prompt photographer than Debra. For more information about Debra go to her website: debrazeccolaphotography.com, or call her at 302-239-7193. I would also like to thank Lori Czarnota, Owner of Fusion Salon, and her wonderful team of stylist and makeup artists for providing hair and makeup for our shoot. This was my first time working with Lori, and I am very happy to say that everything went very smoothly. Fusion Salon is located at 3444 Naamans Road in Wilmington, Delaware. To book an appointment or to just find out more about Fusion’s call 302-479-9444, or visit them at fusionsalonde.com. We would like to thank the Hilton Wilmington/Christiana Hotel for hosting our photoshoot at their beautiful location. The Hilton Wilmington/Christiana is located at 100 Continental Drive in Newark, Delaware. If you have not been to the Hilton recently you will be surprised by all the great renovations that have been completed. For information on holding an event at their location contact them at www.hiltonchristiana.com.